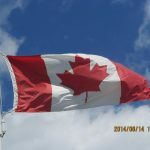 Dr. Duncan Colin Leitch was born in 1843 in Yarmouth Twp, Elgin County. His parents were Colin Leitch and the former Nancy Ann McLarty. He had 2 brothers; Malcolm and Archibald. Dr. Leitch married Susan Long on the 22nd of September, 1869 in Yarmouth Twp., Elgin Co. At the time of his marriage, he was a school teacher in Yarmouth Twp. Mrs. Leitch was born on the 4th of December, 1850 in Dumfries Twp, the daughter of Elias and Catherine Long. Her father and her eldest 4 siblings were born in Pennsylvania, USA. By 1851, the Long family was farming in Yarmouth Twp., Elgin County, Ontario. She was the youngest of 6 children. Her siblings were; Daniel, Mary, Josiah, Amina and Emily. According to the 1871 Ontario Census, Dr. and Mrs. Leitch were living in Yarmouth Twp with their 1 month old son, Arthur and Dr. Leitch was still teaching school. 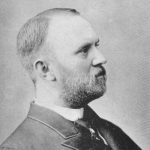 Dr. and Mrs. Leitch also had 2 daughters born to them after he completed medical school, Annie Catherine (1876) and Margaret Blanche (1879). 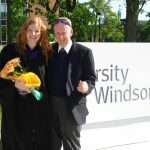 Dr. Leitch graduated M.B. from Trinity College in Toronto in 1874. He also graduated M.D. from the Long Island Medical College in 1874 and became a member of the Ontario College of Physicians and Surgeons in 1874. At the time of his registration with the College of Physicians and Surgeons, Dr. Leitch listed his residence as Duart. Dr. Leitch appeared in the 1885 Ontario Business Directory and he is listed in Duart, but there is a misspelling of his name, as it lists him as Dr. “J.” C. Leitch. Dr. Leitch died on the 17th of February 1891 and he was buried at the Fairview Dutton Cemetery in Elgin Co. He was 47 years old. According to the 1901 census, Mrs. Leitch was living in Dutton with her daughter Margaret. 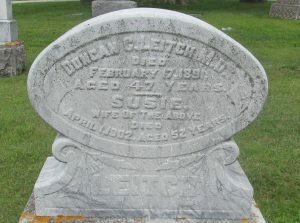 Mrs. Leitch died on the 1st of April 1902 at the age of 52 and she was buried beside her husband at the Fairview Dutton Cemetery. *His son Arthur Leitch became a physician and he practiced medicine in Michigan.